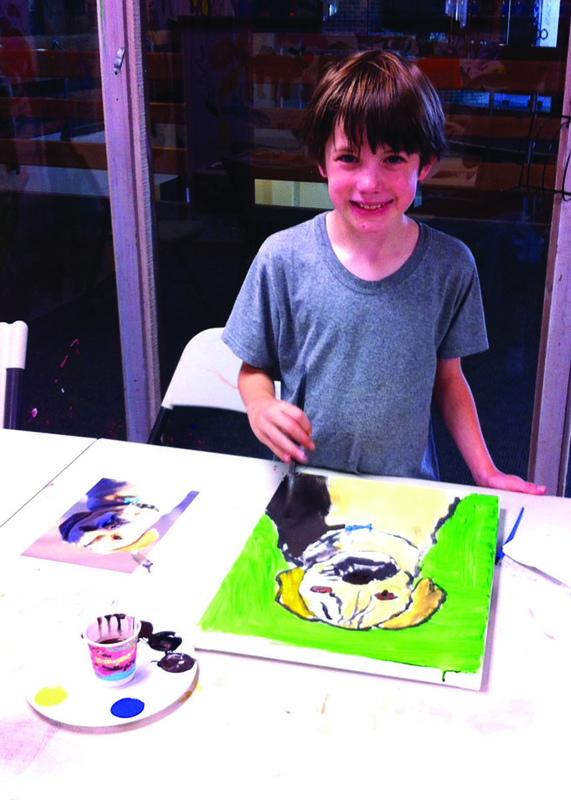 Bayley Horowitz (nine) works on his pet portrait, “Luke.” Photo courtesy: Press release. 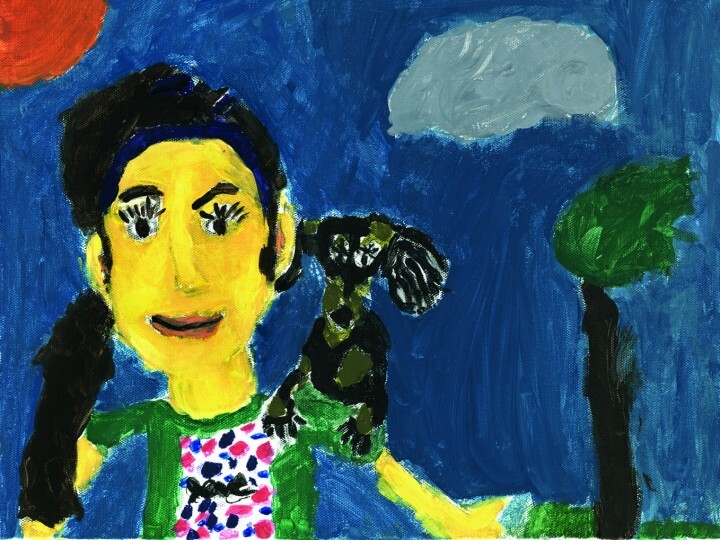 Nine year old Belle Dolan Carleton’s self-portrait, with dog Sadie perched on her shoulder. Photo courtesy: Press release. Mono Council for the Arts (MCA) free summer kids art camp was an amazing experience this year. Kids ages 4-14 participated in a unique and creative summer camp. They produced genuine art; mosaics, printmaking, ski making basics, drawing, pinhole cameras, cyanotypes, photography, haiku poetry, sculpting with clay, acrylic portraits on canvas, art and movie making on iPads and Mexican crafts, all taught by professionals. This year MCA added a digital art component with iPads for older kids. With 3 sessions each day, 3 days per week for 5 weeks, art camp averaged 60 kids per day. This was MCA’s most successful art camp since it began six years ago. MCA is grateful to Paul and Kathleen Rudder for the use of the space in the Sierra Center Mall and Mono County Office of Education for loaning the iPads used in art camp. MCA could not have had such a successful art camp without this support! Thank you to the wonderful instructors; Stacey Adler, Andy Cohen, Kristin and Michael of Community Skis, Jamie Godoy, Heidi Goodwin, Lana Rae Hansen, Kendra Knight, Kristen Schipke, Lety Solis and Laurel Stanford. MCA intends to add even more fun classes to next year’s art camp! View photos and get info about art camp online @ www.monoarts.org. This story was written by a guest. The author's name may be below the title at the top of the page.